The Campus Bicycle Center — a collaboration between the University of Illinois and The Bike Project of Urbana-Champaign — is dedicated to empowering individuals with knowledge about how to repair and maintain bicycles and encouraging mode-shift away from single-occupancy vehicles. This educational center offers hands-on experiential learning that students can’t get in a classroom. By empowering people with the ability to fix a bicycle and providing a connection between the campus and the community, the Bicycle Center promotes bicycling, collaboration, and community spirit. The Campus Bicycle Center distributes UI bike registration stickers; maintains the campus Bike Fix-it Stations; provides a central base for the bicycling community on campus; encourages mode-shift through various events and classes throughout the year; distributes and explains educational information and resources regarding bicycling; educates students, faculty, staff, and campus visitors about basic bicycle maintenance; and collaborates with campus and community partners in bicycle-related programs. 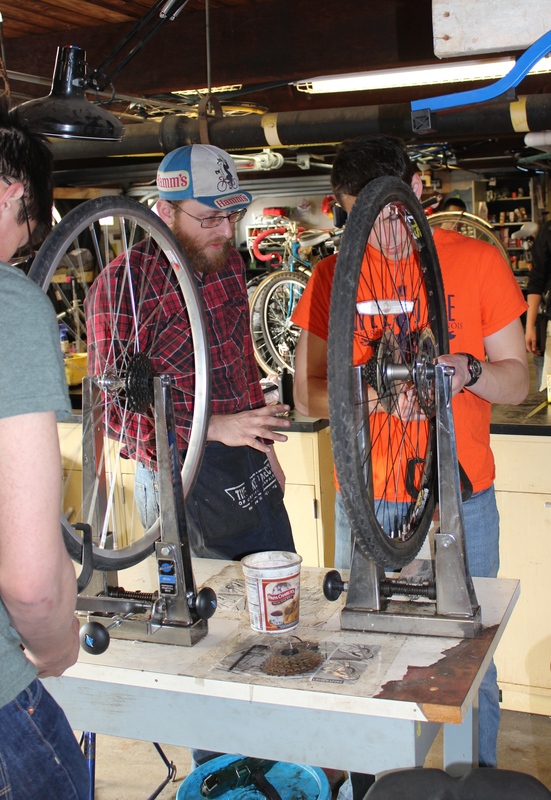 During open hours each weekday, the Campus Bicycle Center provides tools, parts, refurbished bikes for sale, and dedicated volunteers to help shop members and the larger community with their bicycle maintenance needs. This is a hands-on, educational space meant to provide knowledge and experience about fixing bicycles, not a "drop it off for repair" bike shop. Membership in The Bike Project at Urbana-Champaign is valid at both the Campus Bicycle Center and the Downtown Urbana location, and costs $30 annually for all individuals and $65 annually for a family membership.